Love is Everywhere: These are a few of my favorite things..
On the radio there was a Christmas tune. I'm not at all upset that the ring-a-ling-aling tunes are playing, since it's my favorite time of the year. It of course always makes me a little sad though as I'm sure it does for most of you who celebrate the Holiday. It's the last month in the year so you find yourself reminicsing about all the fun times you had in the last 11 months. All those that are no longer here to share laughs, stories, presents, new memories with. For anything great in our life there is always a good and a bad. You just need to learn to appreciate both. 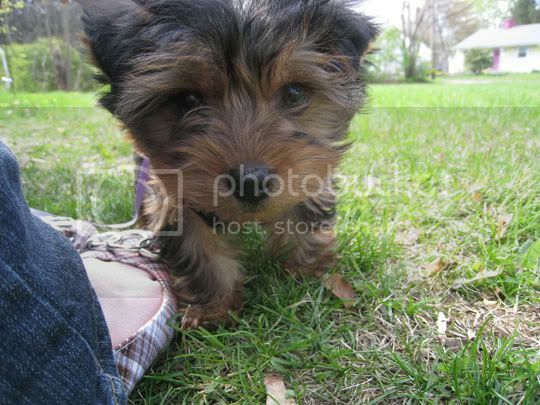 Since I was young I had a strong love for Yorkshire Terriers. Even had a name picked out, Peanut. I begged my parents for one and even came up floor plans for my bedroom where my dog could live. Drew it all out, made a list of things I would give up and/or never ask for until the day I died. Haha, remember those days when you really wanted something? Well, it never happened atleast while I lived home. On 4/13/10 Charlie and I shimmied to the Pet Store a town over. We were going to get cat food and just walk around. I really wanted to take a puppy out and play with it. They never have Yorkies so there was no intention going there. What do I see walk up to the glass but Peanut! I knew it was him, exactly how I always imagined him to look. Cute floppy ears, teddy bear face, and loveable. Oh is he loveable! He's a licking magnet. See for yourself. This was Peanut at 3 months.. you better believe that two days later after moping around the house I went back there and scooped him up! In June I did something unlike me. I flew on a plane without anyone I knew and went down to visit one of my longest, closest friends in North Carolina and had the time of my life. It was a different world to me and I absolutely loved it. It was a great adventure and I miss it so much. We made new friends together when we went to a kickass Farm Party. I was there when they adopted their dog Frankie who's one handsome Poodle! 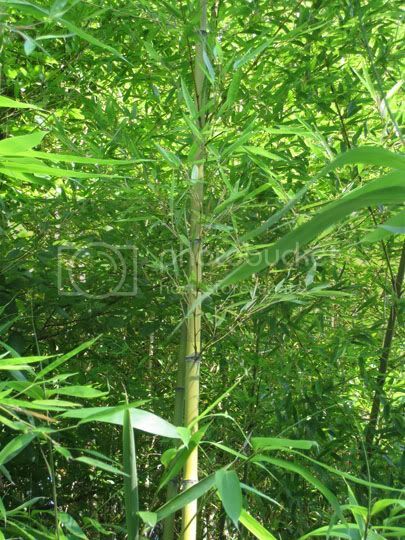 Below is a picture of something that amazed me my whole stay.. they have Bamboo on the side of the roads! !